“I have always been an exponent of the ‘bizarrerie’ in art because I feel that it is most suited to my personality,” Miss Natacha Rambova, former wife of Rudolph Valentino and now the star of the mystery play “The Triple Cross” at the New Park Theatre, told a Crimson reporter yesterday before the matinee. “In the field of art one must adapt his or her environment to the personal element. I have experimented with artistic designing, dancing, the cinema, and the stage in order to see which would be the best medium for expressing my individuality. It is an interesting quest but has no definite destination. At last, however, I can safely say that I have succumbed to the fascination of the legitimate stage. I intend to give it most of my time because it not only demands more than the screen but because it is far more developing to an actress. “But to return to the exotic in art,” remarked Miss Rambova, whose Georgian South Russian type of beauty is most exotic, “it was my first love. I followed it in my dancing and in my designing. When asked her opinion of mystery plays Miss Rambova replied that they were most strenuous for the actress. “We are continually studying the audience,” she said, “in order to get the right effect. So much depends on the little things. You must close a door with the most mysterious manner, there must be an added significance in the way you walk across the room. It is fun though to try and thrill the audience. Once the cast has them in its power we enter into the spirit of the thing and almost frighten ourselves. 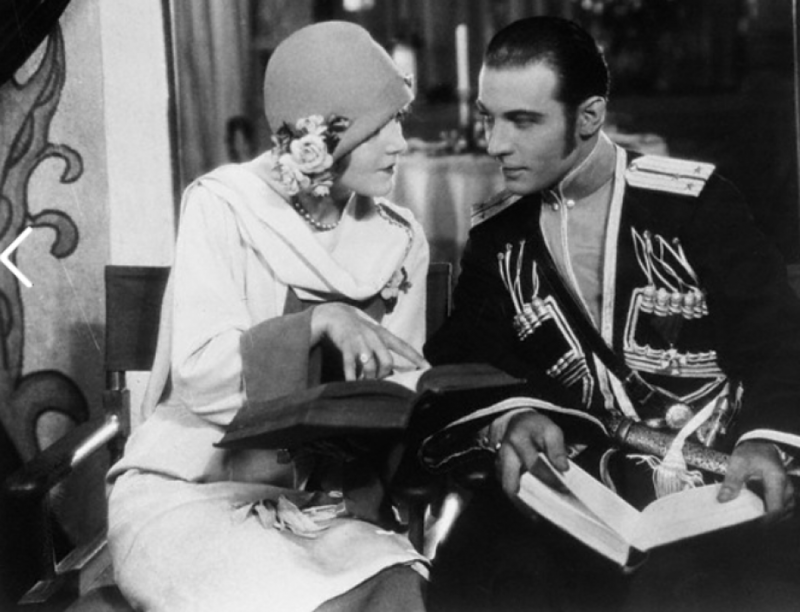 Again we have to rehearse one episode dozens of times to get the right effect.” Miss Rambova mentioned her forthcoming biography of Valentino. “I have been everything but an authoress,” she concluded.